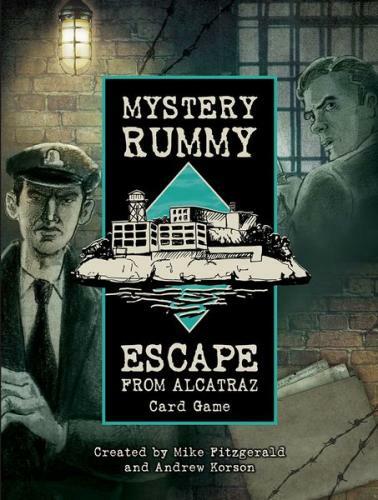 Fill in your details below and we will let you know within 24 hours if we can get Mystery Rummy: Escape from Alcatraz to you with haste! In this exciting Mystery Rummy Card Game inspired by actual events, players are in charge of uncovering prisoners’ escape plans. Players gather information by melding matching Plan Cards or playing off an existing Plan. When players collect 8 matching Plan Cards and identify the Plan’s mastermind, they can foil the Escape Plan, capture the culprit and score points. First player to earn 100 points is the winner.